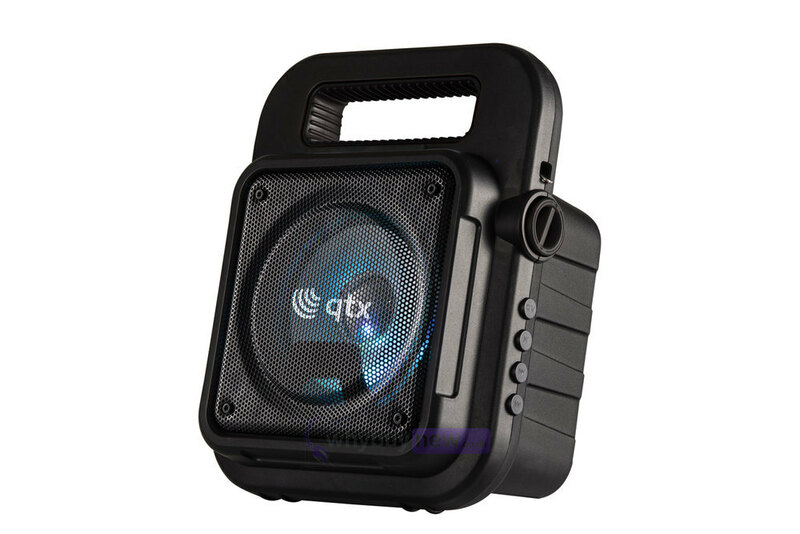 This is the QTX Karaoke Machine Portable Bluetooth Party Speaker. 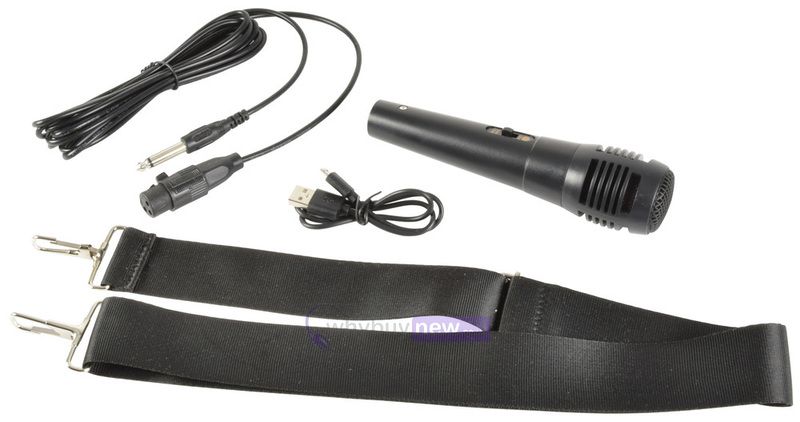 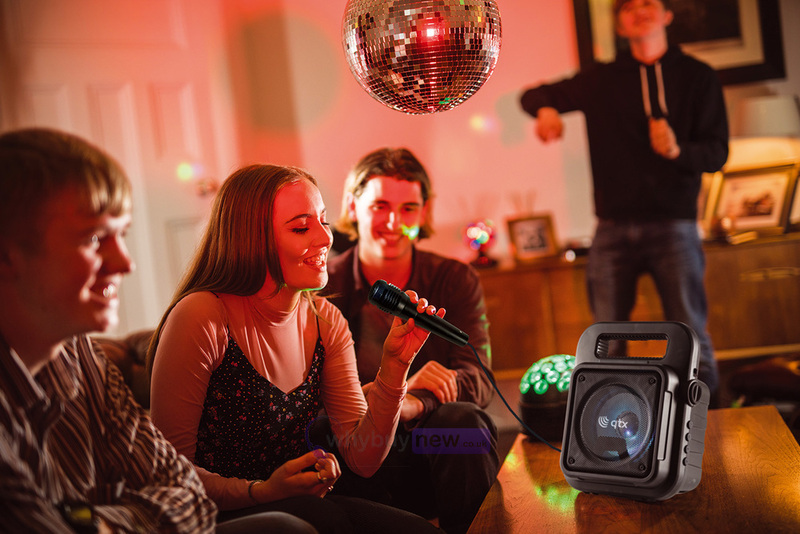 This fantastic device has tonnes of great features that will make it a staple of all your parties, including a fun colour-changing LED light effect underneath the front grille, a smartphone/small tablet holder to keep it out of harm's way while you're having fun, and several inputs so you can hook up a microphone, USB cable and AUX cable. 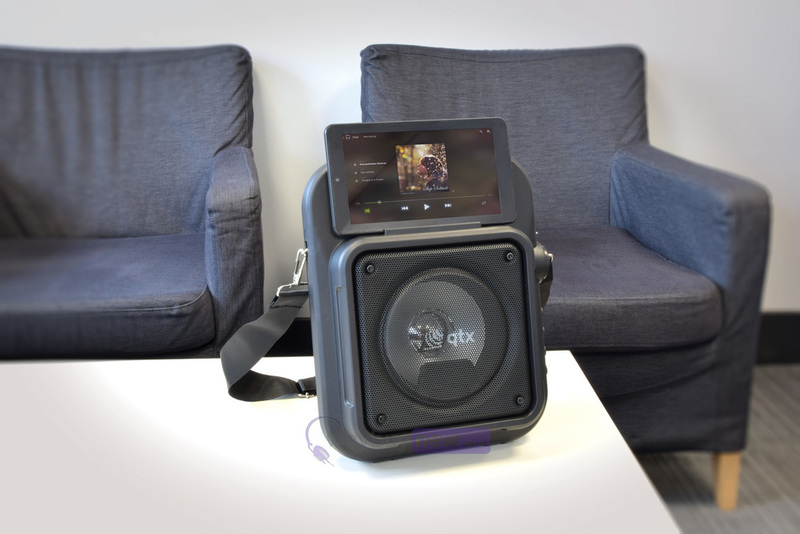 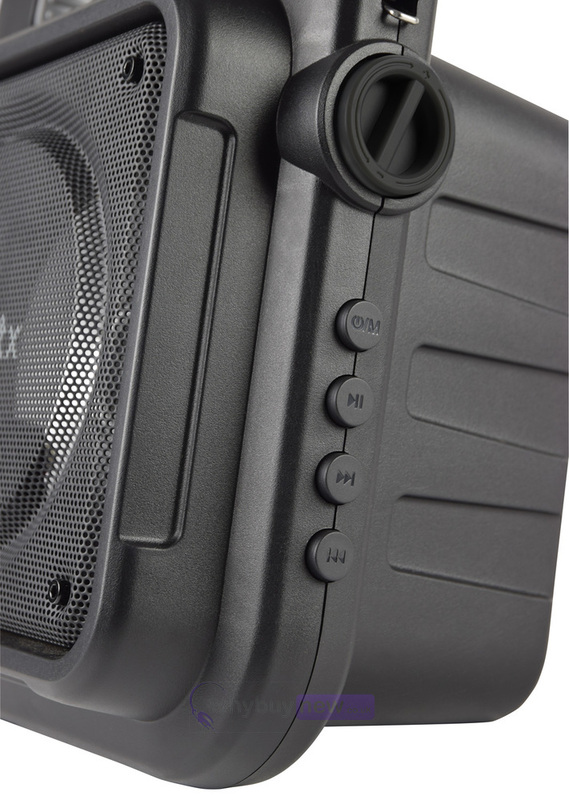 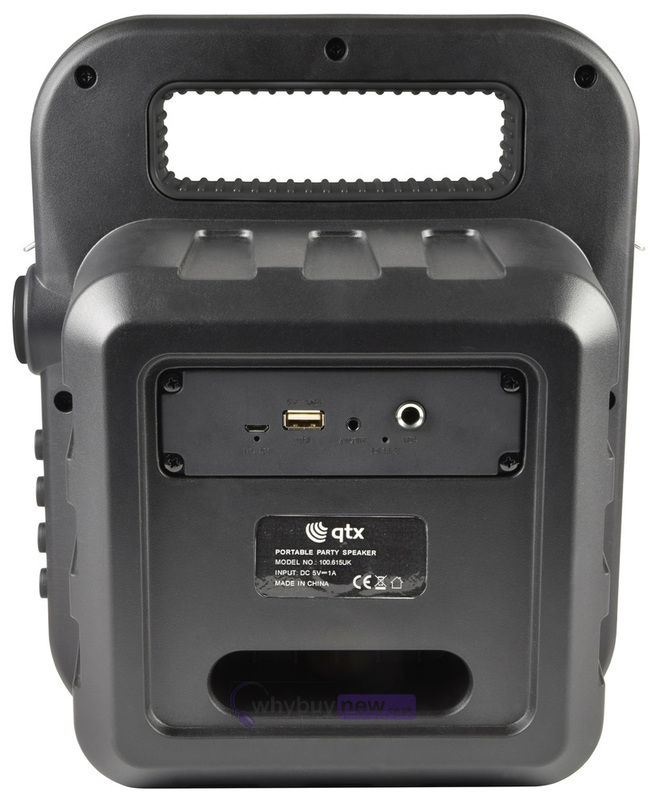 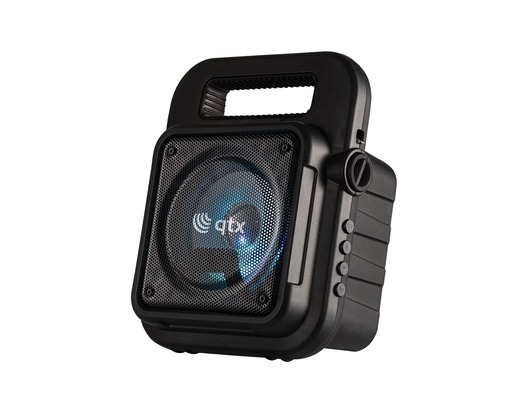 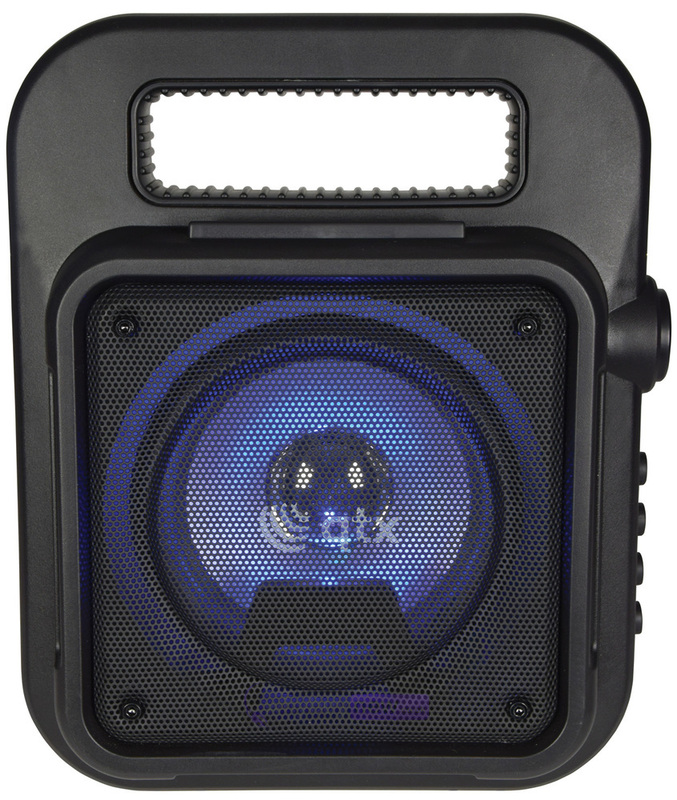 The QTX Karaoke Machine Portable Bluetooth Party Speaker also features an incredibly rugged build designed to endure heavy handling, and up to three hours of power from a single charge.